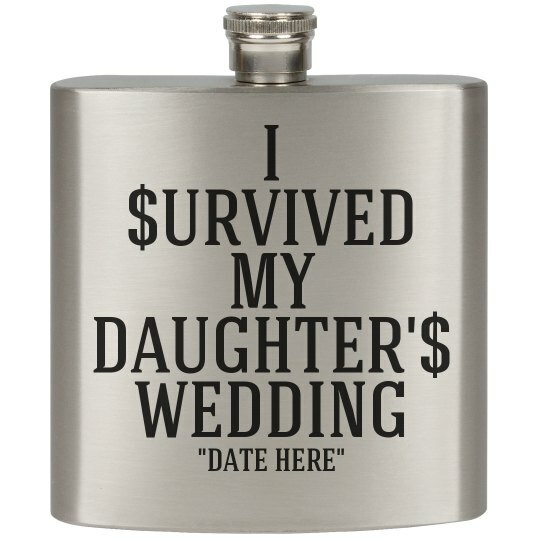 Customize funny gifts for that poor mother of the bride and father of the bride! Customize by changing the date to read that of your own expensive wedding or personalize them with names and other personal info! Custom Text: I | $URVIVED | MY | DAUGHTER'$ | WEDDING | "DATE HERE"